How Did Jesus Hear God Speak? aside the privileges of deity and took on the status of a slave, became human! 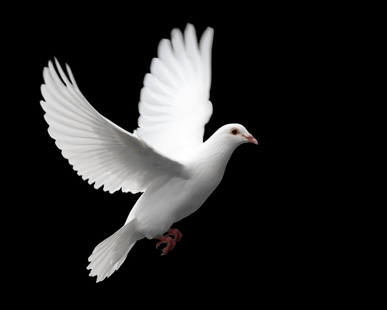 send the Holy Spirit to us (John 7:39; 15:26). The Holy Spirit is the Spirit of truth. He leads us into all truth (John 16:13). how do we distinguish between our own thoughts and what He is saying? is the poorer for it. This is such a key question! Every where I go I ask people if they are able to hear God’s voice on a regular basis. The answer from an amazing number of Christians (including leaders) is “no”. I recently met a Young Life leader from Dallas who mentioned that she was discipling 40 high school girls. I asked her how many of her girls were able to hear God’s voice. With a startled look on her face, she said, “I don’t think any of them”. I had lunch with a Campus Crusade staff member recently and asked the same question. He said that the only time he was sure that he had heard God speak to him was when the Lord told him that he would marry the woman who is now his wife. That was the only time. My sense is that it’s not that Christians don’t want to hear God. Rather, they have never really thought about it (again, amazing!) or they simply don’t know how. John is on to something… Most of us don’t know what it means to turn “inward” to fellowship with our Lord there. God is faithful who has called us into the fellowship of His Son.. who dwells in our hearts.. where the the Kingdom of Heaven is.. We have the invitation, the call, from the Father to commune there… but I never heard that for decades of being a Christian. Sure, he speaks through the Bible… and He especially speaks through Christ in our brothers and sisters,.. and elsewhere.. but there is something to getting alone.. getting quiet.. still… and beholding Him. I love it! God has obviously met you in a wonderful way. So glad that he’s speaking to you and healing you. Previous Previous post: Does God Still Speak Today? Next Next post: How Does God Speak to Us?